Phonographic Copyright (p) – Nothing Records Limited, Inc. Copyright (c) – Nothing Records Limited, Inc. Although the stamped text in the mould area of the CD states that the pressing plant is PMDC, UK, given the year of release the actual manufacturer is Universal M & L, UK. There is a repress NakedSelf from Universal M & L, UK with ℗© 2000 Nothing Records Limited on disc and booklet. ℗ 1999 Nothing Records Limited, Inc.
© 1999 Nothing Records Limited, Inc. A Universal Music Company. Price Code appears as "UN900" on back sleeve (below the barcode) and as "UN 900" on media face (outer rim at about five o'clock). Art Direction and Design at Antar. "A lonely silhouette smoking a cigarette hoping for the phone to ring though she’s sick of the sound of people's mouths winding her up and putting her down". Nakedself is loaded with a lot of baritone guitars and odd sonic distortions and this makes the album sound strangely industrial. Excruciating vocals and psychedelic angst in lyrics add to its midnight melancholic mood. "Can’t love or be loved, can’t touch or be touched and he’s lonely. Another drink, another girl, another life in another world – he’s a phony." 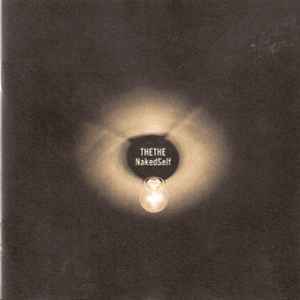 Nakedself stands aside from all the other The The albums and it is one of my favourites by the band.